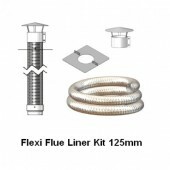 Solid Fuel Stove Flue There are 36 products. Our enameled components are made from 1.2mm thick zero carbon steel. All joints are fully welded which provides an excellent gas sealed joint and offers minimum resistance to flue gas flow.The system then has two coats of Class A quality enamel applied to both the inside and the outside of the pipes and accessories. Vitreous Enamel Flue 90?Ǭ? Tee With Cleaning Drain Cap, Black Stove Pipe, Various Diameters. 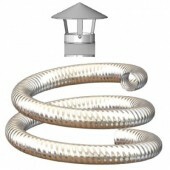 Vitreous Enamel Flue 45?Ǭ? Bend With Inspection Door, MI-Flues Black Stove Pipe, Various Diameters. Vitreous Enamel Flue 45° Bend, Black Stove Pipe, Various Diameters. Vitreous Enamel Flue 90° Bend With Inspection Door, MI-Flues Black Stove Pipe, Various Diameters.